Sweet Slices of History is a vividly told story of the creation of sweet dishes and cakes from historical recipes in today’s setting. From Courtly Cuisine in the fourteenth century, through to Country House Confections in the early twentieth century, the reader will discover how to cook these rare sweets and recreate the past. The author became the Librarian at Oriel College in 2002. There, she discovered a small recipe book amongst a special collection of books presented by an alumnus of the College called Stephen Furness. The book had been compiled and edited by Stephen and his sister Mary from the recipes of their mother and her guests over the years in their country house in Yorkshire. She thought it would be great fun to choose some of the sweet recipes for herself and other members of the College to bake and present as a College event, in order to recreate the kind of atmosphere described in the book. She obtained permission from the Furness family, and held the first ‘Edible Exhibition’, from which the idea for this book came. Illustrated with photographs of the sweets and full descriptions of their unique tastes using the rare spices of the times, this is a book like no other on historical cookery. 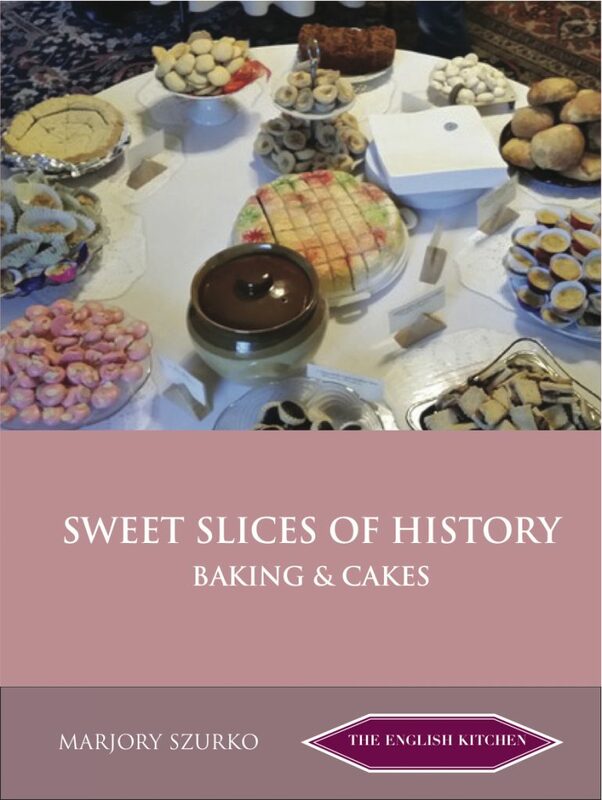 The authentic recreations of sweet dishes from history will make your mouth water. Marjory Szurko studied at the University of Manitoba in Canada, and the University of Manchester in the United Kingdom. After her degree in English Literature, she qualified as a librarian, and is currently the Librarian at St Stephen’s House, University of Oxford.